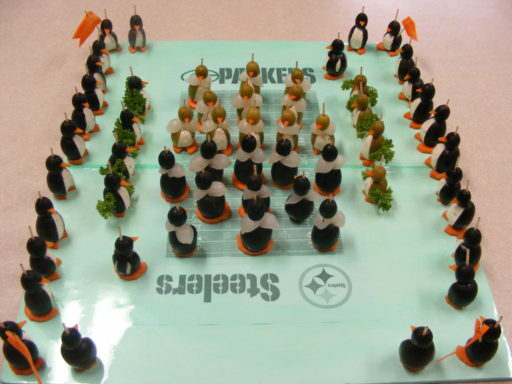 There are 11 players on each team. Here’s another batch we did for the Green Bay Packers vs. Pittsburgh Steelers Super Bowl. The Packers had green uniforms! 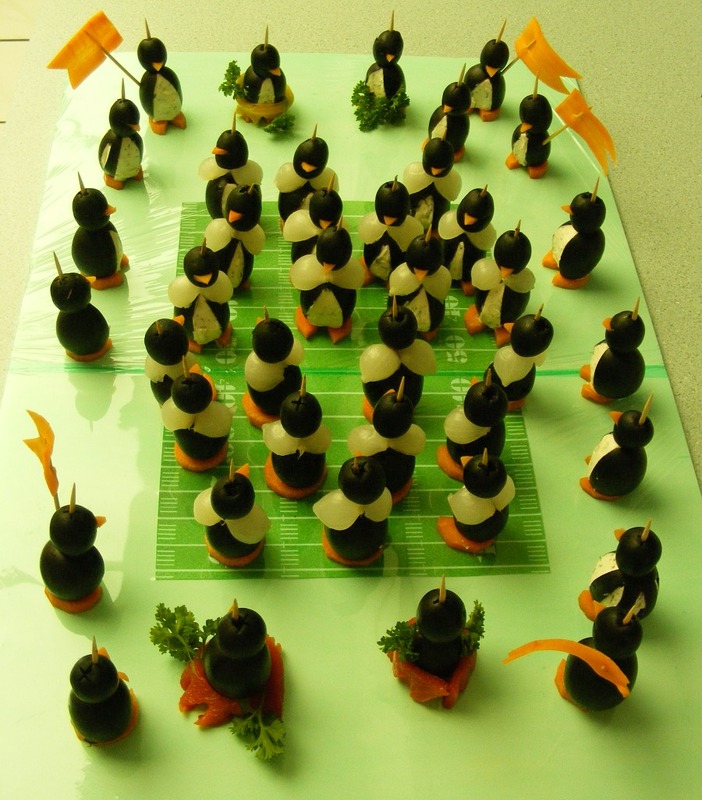 Here’s an idea for display – a football stadium cupcake holder. 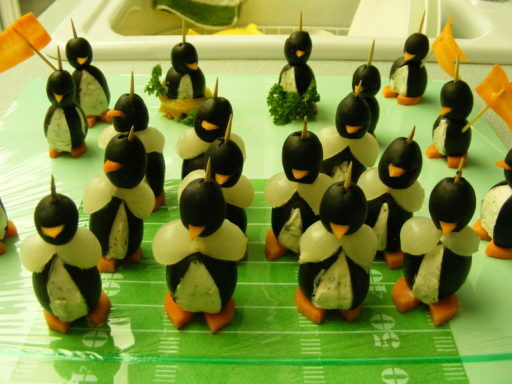 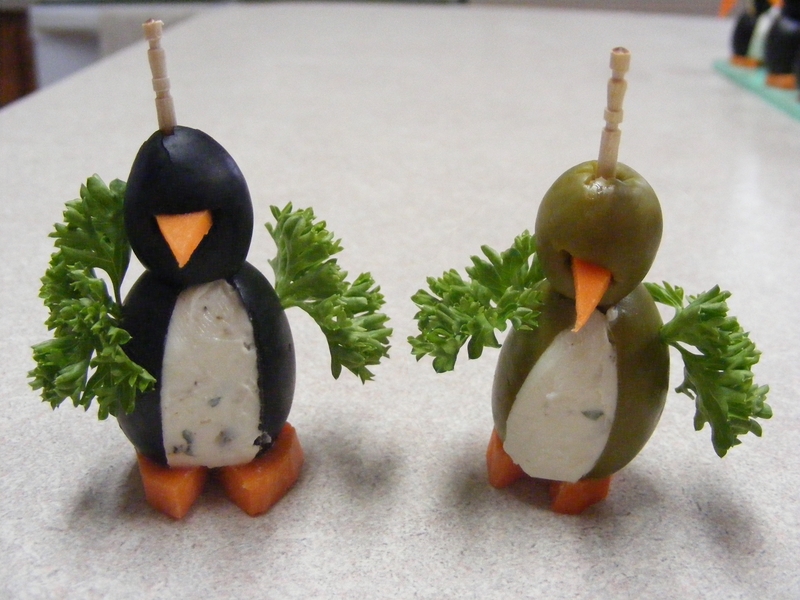 Also cute would be to get fan finger toothpicks for some of the fan penguins to hold.